An interesting brief with a creative solution that was entered into the Recruitment Advertising Design Awards. Vocalink were looking for lots of new staff and potentially facing huge recruitment fees when they asked for alternative solutions that wouldn't break the bank. The recommendation was to capitalise on their existing staff's personal networks and incentivise them to recruit industry friends, colleagues and even family. 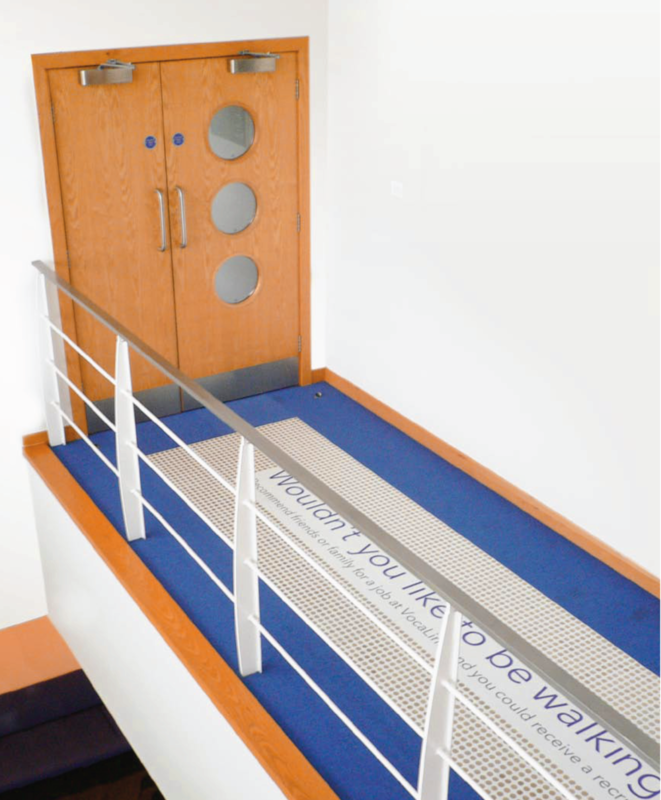 With up to £5,500 as an incentive, the key creative executions were impressive floor installations using 5,500 real one pound coins with the line "Wouldn't you like to be walking away with this, rather than over it?" 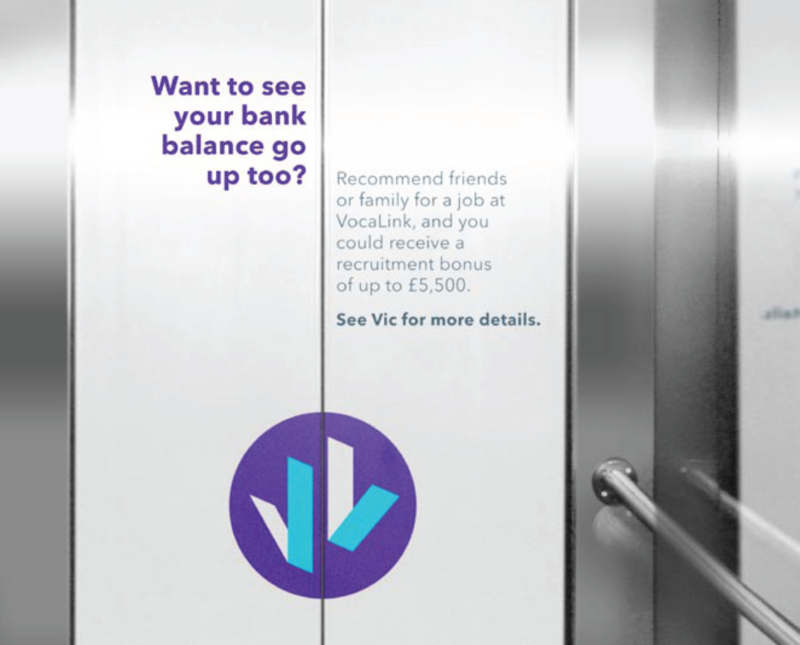 in the mezzanine entrances and corridors of Vocalink’s main centres of operation. Other executions were developed on this theme with messaging related to the execution and core idea such as lift doors and coffee cups.